Finally the question arises whether you should buy Asus Zenfone 3S Max or not? I really don’t know why a customer would spend 14K on a smartphone that is only a powerbank. Powerbanks are already available in market, a smartphone on the other hand is something else. There are flaws in the Zenfone 3S Max and it’s not the best value for money. You can look for the other options available in market like Lenovo Vibe K5 Note, Xiaomi Redmi Note 4 and Huawei Honor 6X. The Asus ZenFone 3S Max costs Rs. 14,999 and as such, it slots in between the two ZenFone 3 Max models which were launched late last year. This creates a bit of overlap and confusion in Asus's lineup, especially since by all indications, the larger battery doesn't help much. Overall, we expected more from this phone's headline feature, especially since it has only that to use as a weapon against the potent Xiaomi Redmi Note 4 and the recently launched Honor 6X (Review). We hope that software updates do something to improve battery life - and while Asus is at it, we'd really like to see some common sense applied to ZenUI as well. Asus Zenfone 3s Max lives up to the battery claim, but the overall package is still far from perfect. At Rs 14,999 you are essentially paying to get the extra-large battery in a more compact form factor. However, the market has options like Redmi Note 4 or Lenovo K6 Power, which offer a better overall performance. If it was priced lower, the Zenfone 3s Max would have made more sense. The ASUS ZenFone 3S Max carries a large 5000 mAh battery that ensures the phone lasts very long. This is the second ASUS device having a 5000 mAh battery. Last year, ASUS launched ZenFone Max with the same battery capacity. With its extra-large battery, how long does the phone last? Take a look at the ZenFone 3S Max battery test results. Zenfone 3S Max is priced Rs 14999 and this is quite a high price for the device considering the specs. Also, if you look at the competition there are many devices offered with better specs at a lower price point. 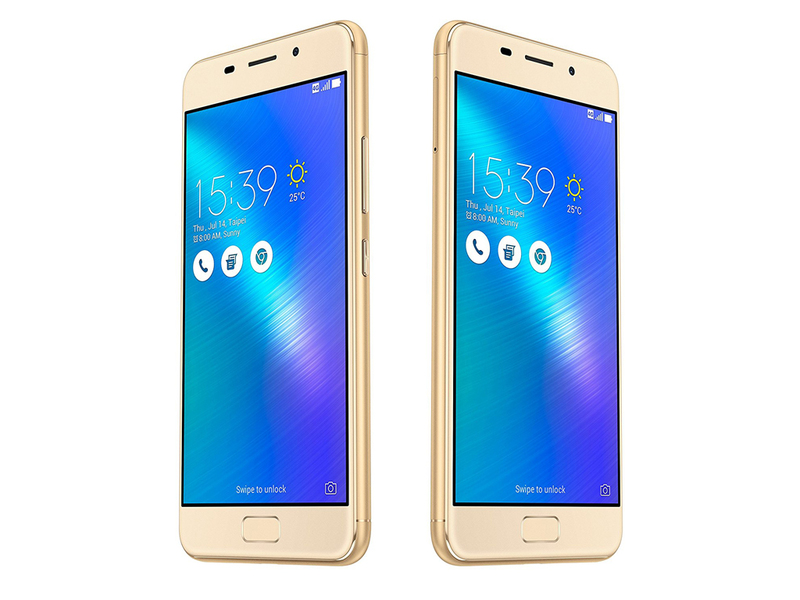 But there are some good aspects for Zenfone 3S max which you cannot ignore and the foremost one is the excellent battery life. Also, the device runs Android 7.0 (one of the few devices in the budget segment to have it) and has a premium build. If you are looking to watch movies and want high performing battery, without a doubt, the Zenfone 3S Max makes sense, but if you are looking for an all round device, there are better alternatives available. The Asus ZenFone 3s Max is a one-trick pony, the trick being its fabulous battery life. It also manages to look good, if you're looking for that sort of thing. But, it's all downhill from there. The ZenFone 3s Max has an average screen, average performance, average set of cameras and no fast charging. Also it costs Rs 14,999. The Asus Zenfone 3s Max is a battery-centric smartphone, and it does last long. However, at Rs. 14,999, the compromises make little sense. The Xiaomi Redmi Note 4 offers just an hour or lesser battery life and gives you a better camera and performance. If you can afford to spend more, the Lenovo P2 offers almost 40% more battery life than this smartphone. The Asus Zenfone 3S Max surely impressed when it came to quality construction and stellar battery life. In fact, it could have hit the performance balance as well, provided Asus had reduced on the bloat ware and increased the RAM to 4GB. But it did not and for now the Zenfone 3S Max cannot hold its own against the mighty Redmi Note 4 (or even the Note 3 for that matter). In the 15K price range, the smartphone is one of the best battery phone backed by powerful hardware. You can capture quality images with the good amount of details and rich colors. Though the screen resolution is only 720p, yet this could be the great choice if you don't want to plug your phone to the charger every day. Asus Zenfone 3s Max does hit some good point in terms of battery, display and day-to-day usage, however, it is just not on the same level as other devices in this segment. A sub-par processor coupled with pretty average cameras and audio output will probably some of the primary reasons I would not recommend this device to you. If camera is your utmost priority, you can look for Honor 6X or Moto G4 Plus, or else, Xiaomi’s Redmi Note 4 if you can have a decent camera with insane battery life and performance. The ZenFone 3s Max looks good on paper, but the real-world performance is limited – and would only meet the demands of less discerning users. Yes, there’s the fantastic battery life, and that’s the sole reason one should go for this device. Asus Zenfone 3S Max Review – Best Big Battery Smartphone? This phone is a great buy if you want to buy a smartphone that provides great battery life. It is priced at Rs. 14,999 and supports VoLTE which is another plus point. Go for it if you’re looking for a phone that doesn’t die because of low battery at the end of the day. The Asus Zenfone 3s Max is a good handset packed with a powerful processor. Camera quality is average and battery performance is excellent. Price is way too high at Rs. 14,999. If battery life is what you want, the Zenfone 3s Max presents one of the best options on the market. There’s not many other options with a 5,000 mAh unit built-in and especially so with such a compact body. The design too is visually appealing though a bit understated. However, we weren’t very satisfied with the performance which always seems to be catching up. Additionally, we found the camera to be rather disappointing. All this makes the Zenfone 3s Max a one trick pony. Priced Rs. 14,999, the Zenfone 3s Max is a bit of a tough sell and you have multiple other options with the Xiaomi Redmi Note 4 particularly coming to mind unless the biggest battery on the market is your primary concern. The ASUS ZenFone 3s Max hasn’t been launched in India yet, and hence, we don’t have any information about the pricing and availability of the device. We will be publishing our full review of this device soon. If you have any questions about the ZenFone 3s Max, do sound off in the comments below. In every way, Asus Zenfone 3S Max looks like an upgrade over the Zenfone 3 Max. It has extended battery life, the latest Android 7.0 Nougat OS, good camera experience and fairly accurate display. The overall performance is quite satisfying as well. Multitaskers also find this phone to be a tad disappointing. Switching between apps can be hard to do. While the phone runs on Android Nougat, the interface was seen to be full of bugs. The battery, which has been the main focus of Asus, is definitely impressive. Overall, Asus Zenfone 3S Max is a good pick when users only need the basics phone functionality and a good battery life. The price of the Asus Zenfone 3S Max is not announced yet, however it looks promising with a combination of powerful hardware. It comes with 32 GB inbuilt storage that can be expanded up to 128 GB using microSD. We have reviewed Asus Zenfone 3 Max and Asus Zenfone Max, soon we will come back with Asus Zenfone 3S Max review, so just wait for a few days. Asus Zenfone 3s Max Review: Zenfone Budget Bro with Big Battery! The Zenfone 3s Max is scheduled to launch next week in India and is expected to be priced below Rs 15,000. And with the price tag, it’s going to take on the likes of Honor 6x, Redmi Note 4, Coolpad Cool 1 and others, with most of them offering better value for money on paper. And if a smaller screen is what you are looking at, Lenovo’s K6 Power and Xiaomi’s Redmi 3s Prime are hitting it outta the park with every sale. The Zenfone 3S Max is undoubtedly a one-trick pony. It has the biggest battery you can get in a device of this class that provides days of battery life without the actual device being massive in size. If that's all that matters to you, then the new Asus mid-ranger passed the test with flying colors. Well, the presence of the new Redmi Note 4 and the Honor 6X can already be a sign of pretty strong competition for the Zenfone 3s Max. However, the availability is an issue for both of them and which is where Asus can hit some good points if it makes the device available via open sale. Besides, the 5000 mAh battery and Android 7.0 Nougat can definitely help getting some crucial sales figure. As for the initial impressions, the Zenfone 3s Max can be a potential threat for other devices given it perform on par with the other devices in this price range. The ZenFone 3s Max aims to pimp up the Max range with a premium design while improving the internals from its predecessor. It succeeds there, but there’s little else. Positive: Good price; long battery life; stylish design; nice display. Negative: Mediocre processor. Positive: Long battery life; good price; beautiful design. Model: The Asus ZenFone 3S Max smartphone was launched in January 2017. The Zenfone Max was one of the most successful models in Asus's smartphone lineup. 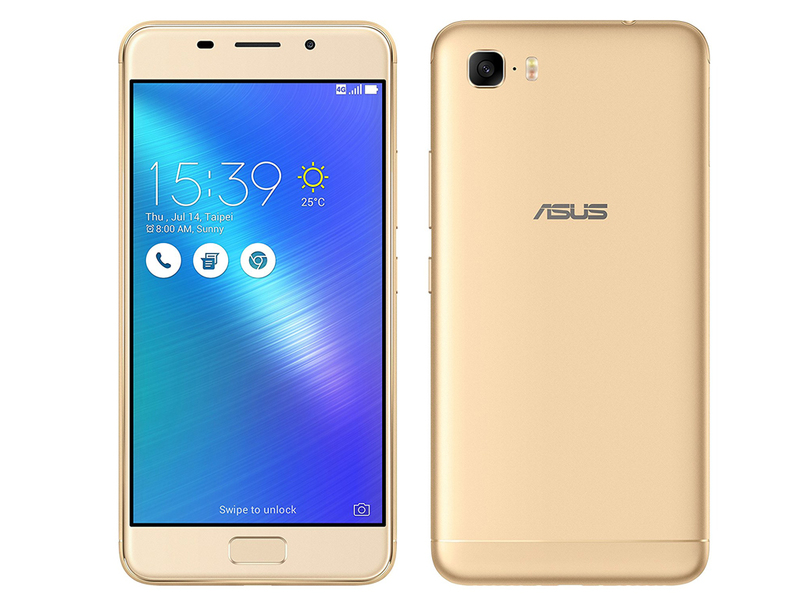 Now, Asus has launched another variant called the Zenfone 3S Max, which comes with a bigger 5,000 mAh battery and runs the latest Android 7.0 (Nougat). The bigger 5,000 mAh battery eliminates battery life worries, with enough power to get through a full work day and even beyond. It can last up to 34 days in standby mode too. The ZenFone 3s Max includes five battery-extending technologies to squeeze even more power out of its battery. Super saving mode smartly adjusts screen brightness and other functions. Furthermore, it closes all network functions for a longer standby time. All phone, SMS, and alarm functions work well in this mode. It is recommendable for long standby times & low battery scenarios. The Zenfone 3S Max comes with a full metal unibody design but with a few design changes compared to the other models in the Zenfone 3 range. The 3S Max has a physical home button on its front side, which also doubles up as a fingerprint scanner. This is the first phone from this company to feature a front fingerprint scanner. The camera placement is different. It is on the left top corner of the rear whereas Asus usually places the camera in the centre. As for colour options, it has Gold and Black. As for the screen, the ZenFone 3s Max’s contoured (2.5D) glass touch screen is matched around the back by a gently curving rear cover that feels natural to hold. The ZenFone 3s Max has a 5.2-inch high-definition display for great detail, and intense brightness for easy viewing even under the harsh light conditions with 400 nits brightness. With a thin 2.15 mm bezel and remarkable 75% screen-to-body ratio, it’s more display with less bulk. The Asus ZenFone 3S Max is powered by a 1 GHz octa-core MediaTek processor and it comes with 3 GB of RAM. The phone packs 32 GB of internal storage that can be expanded up to 256 GB via a microSD card. The Zenfone 3s Max comes with Android 7.0 Nougat along with the ZenUI out-of-the-box. 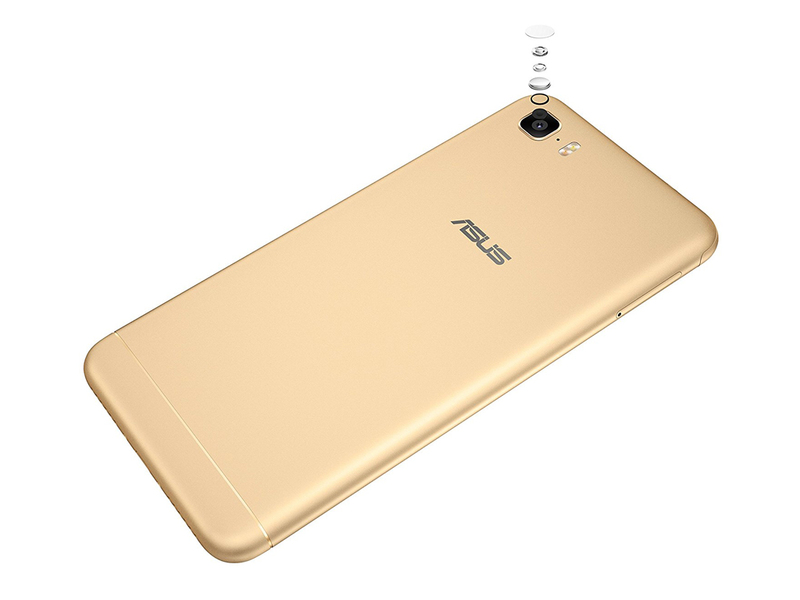 As for cameras, the Asus ZenFone 3S Max packs a 13 MP primary camera on the rear and an 8 MP front shooter for selfies. The primary camera is a PixelMaster camera that captures beautiful, high-resolution photos with zero shutter lag. It also features a dual LED real tone flash. Besides that, the ZenFone 3s Max also features a front fingerprint sensor. It unlocks it in a fraction of a second with its 360-degree fingerprint recognition ability. Five fingers fingerprints can be added for complete convenience. In terms of audio, the Zenfone 3s Max has an enhanced 5-magnet speaker that offers high clarity, low distortion and loud sound. In addition, the ZenEar earphones from ASUS offer crystal clear sound with its Patented Damping System and Transmission Tube designed to deliver crystal clear and detailed sound. The ZenFone 3S Max is a good device especially when the price is considered. It also happens to offer one the longest standby time on a smartphone.